Auburn Baseball opens series against Ole Miss with a Win. 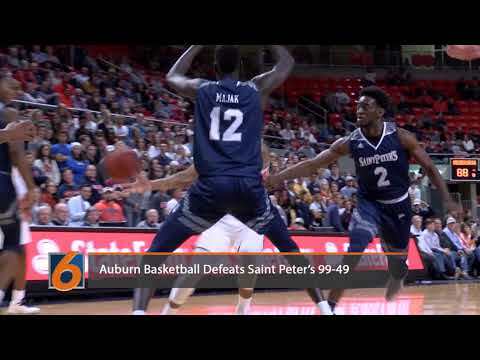 Auburn, Alabama (EETV)- After a successful trip to the Maui Invitational, the 8th ranked Tigers returned home to face the Saint Peter's Peacocks. Before the game, senior Bryce Brown was honored for breaking the record for three pointers in Auburn history set by Wesley Person. Auburn got off to a quick start going on a 13-0 run to start the game. Anthony Mclemore led the team in the first half with 11 points, and Bryce Brown added 10 to make the halftime score 51-23. Auburn stayed in control in the second half defeating the Peacocks 99-59. The Tigers shot 48 percent from the field and held the Peacocks to only 27 percent. Auburn's leading scorers were Anthony Mclemore and Bryce Brown who both dropped 19 points. Malik Dunbar had 14 points on the night and Chuma Okeke added 12 for the Tigers. The win moves Auburn to 5-1 and they will return to Auburn Arena next week to face UNC-Ashville on Tuesday night at 7PM. 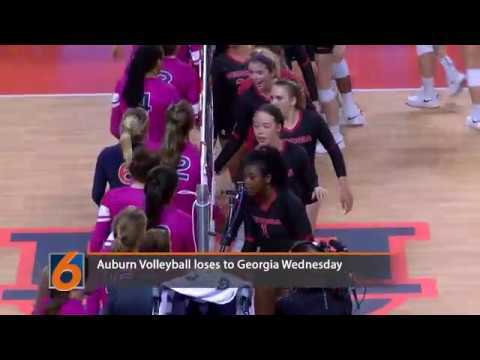 Auburn, Ala. An SEC Volleyball showdown took place in the Auburn Arena Wednesday night between the Georgia Bulldogs and the Auburn Tigers.